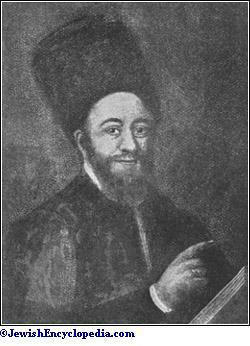 Itinerant rabbi and preacher; born in Hebron, Palestine, Oct. 15, 1733; died at Barbados, West Indies, May 5, 1777. 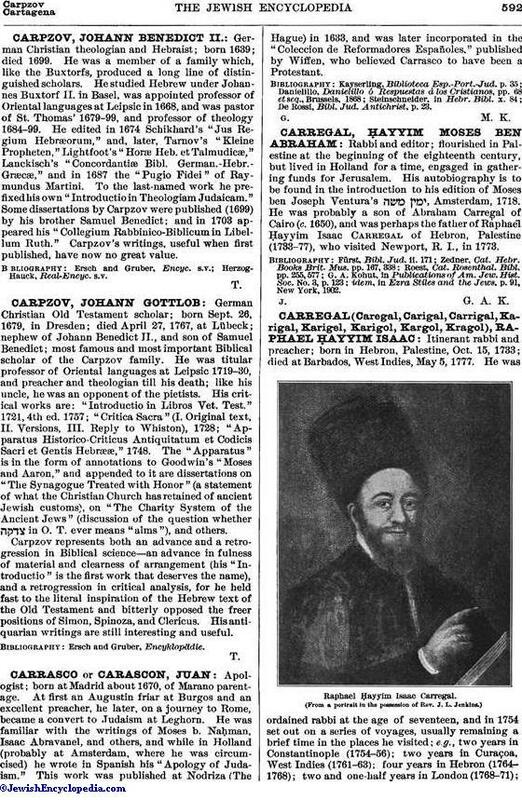 He was ordained rabbi at the age of seventeen, and in 1754 set out on a series of voyages, usually remaining a brief time in the places he visited; e.g., two years in Constantinople (1754-56); two years in Curaçoa, West Indies (1761-63); four years in Hebron (1764-1768); two and one-half years in London (1768-71);one year in Jamaica, West Indies (1771-72); and one year in the British colonies of North America (1772-1773). In 1773 (July 21) he sailed for Surinam, and in 1775 he was at Barbados. In London, according to his own statement, he was teacher at the Bet ha-Midrash, earning a salary of £100 sterling ($500) per annum. At Curaçao he appears to have held the office of rabbi, though no record of his incumbency is to be found in local annals. He spent some time in New York and Philadelphia, and sojourned in Newport, R. I. (March-July, 1773), as the guest of the community. Though nowise connected with the congregation, he often officiated at divine service. While in Newport Carregal became an intimate friend of Ezra Stiles, afterward president of Yale College, New Haven, Conn. They studied together, discussing the exegesis and interpretation of Messianic passages in the Bible, and corresponded, mostly in Hebrew. The letters still exist among the unpublished Stiles papers in the library of Yale University. Stiles, in his diary, recently published, speaks lovingly and admiringly of his Jewish friend; gives a long account of his dress, manner, and personality; and, in a series of entries occupying many pages of his day-book, draws up a complete memoir of his career in Newport. Carregal appears to have written only two brochures (both sermons), published in Newport in 1773. 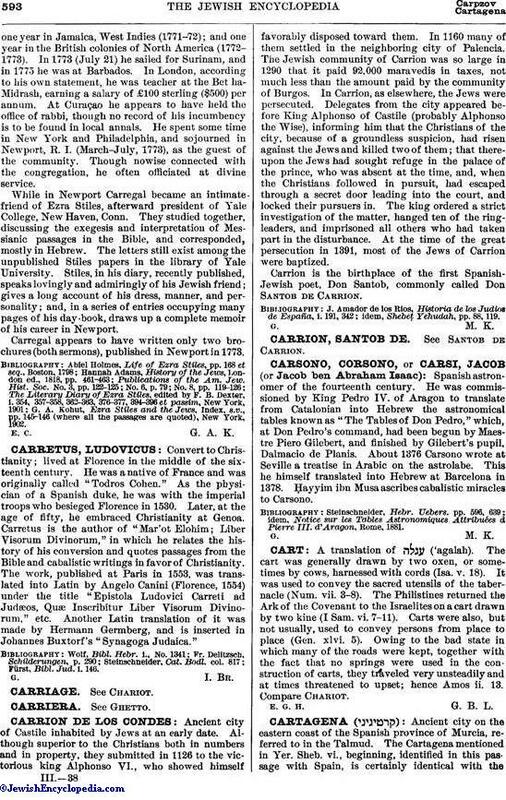 G. A. Kohut, Ezra Stiles and the Jews, Index, s.v., pp. 145-146 (where all the passages are quoted), New York, 1902. E. C. G. A. K.